Hey y’all. I’m here writing today to discuss the benefits and challenges of installing a Smart Start system in your vehicle. In Tempe and Phoenix Arizona freakin’ every damn thing is “hot” in the summer including the interior of our vehicles. So that’s why remotely starting the vehicle whilst still inside somewhere with A/C is pretty “desirable”. I believe most Phoenicians would agree. That is unless you’re curious at what temperature human flesh melts? You can’t call yourself a Phoenician if you haven’t experienced at least once that breath taking rush of opening a car door and be enveloped in that 3000 degree rush of pissed off air escaping around and thru you while you climb inside and tattoo your fingers grasping the steering wheel and having the sweat just instantaneously soak every article of clothing. We call that Phoenix Phun! Hey but those days are over and now you can have your vehicle remotely start with the A/C cranking and blowing cold. Makes driving less of a challenge for sure. we need to have a way to allow the vehicle to start and satisfy the security system. Sometimes it requires another key to be stashed somewhere in the dash, others require a device that will seamlessly communicate with the in vehicle transponder who is looking for the key’s code to allow ignition and A/C to happen. As vehicles grow ever more and more complex and integrated into its electrical system it is imperative that we stay current with the most up to date information about our vehicles and on-board communication protocols to insure a seamless and trouble free installation to insure many summers of trouble free remote starting in Phoenix. Having been doing this stuff since before there was even a Superstition Freeway, at Sounds Good To Me in Tempe Arizona we KNOW your cars and trucks and how they operate out here in the summer sun. It’s nothing like back in the day when it was trial and error, oh hell no. Them days are long gone and now we have between 3 to 4 extensive databases in which to best research the various systems and protocols in the vehicles. 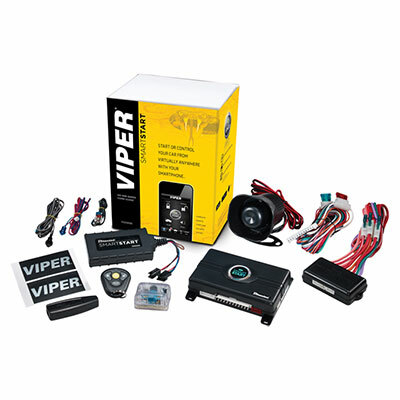 Unfortunately, there is nothing close to a one-size-fits-all kind of remote start or security system as there are vast differences just between the models of the same maker. So give Dave or myself a call and let us walk you thru the options and choices when it comes to installing a Smart Start system in your car or vehicle in Tempe AZ. We’re not into hard selling or techno-babble but easy to understand the choices and price ranges. Thanks for reading and remember to watch our demo and video review of the Smart Start system.